News of an #AndroidWear update had been spreading like wild fire Today. 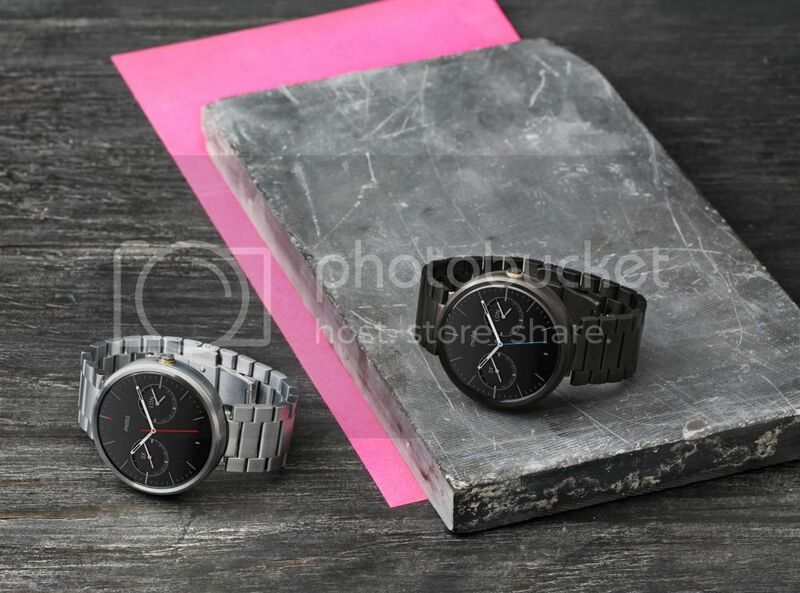 Even more interesting is a feature that has been laying dormant with the #Moto360 . The more interesting tidbit (Not to downplay the overall update) came from +Motorola Mobility which basically states that the Moto360 will receive the WIFI support as well, meaning that there is a WIFI antenna built in it.
" Simpler, easier and more fun. In the next few weeks, an update is coming to Moto 360 equipped with fun few new features like Wi-Fi connectivity, new gestures and easy-to-draw emojis. That way, you can get more done and have some fun with your watch. Over Wi-Fi, you’ll be able to use your Moto 360 when you are out of Bluetooth range from your phone. With a flick of the wrist, scroll between cards of useful info, check out new notifications or go back to the previous one without ever touching the screen. Admit it, life is more fun with emojis. Now you can simply draw something - a burger, a clock with time, a smiley face - and Moto 360 will transform it into an emoji to send to your friends and family.